Call (910) 893-1450 to purchase the book from the Barnes and Noble campus bookstore located at Campbell University. On the cusp of opening a state-of-the-art school of osteopathic medicine – North Carolina’s first new medical school in over three decades – Campbell University celebrated its very humble beginnings in 2012. The school would survive a devastating fire that all but wiped out the campus 13 years later. It would go on to survive (as stated in the above excerpt) World War I, a flu outbreak, the Great Depression and World War II. And it would go on to excel. 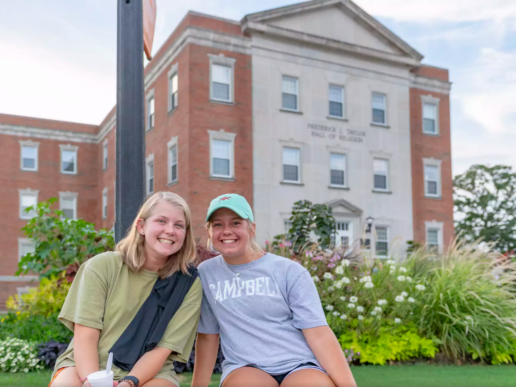 Today, Campbell University is comprised of seven schools, which include the med school, the only law school in North Carolina’s state capital and one of the nation’s most respected pharmacy schools. The story of how Campbell got to where it is today is a fascinating one. And it is captured beautifully in “Campbell University: Celebrating 125 Years of Faith, Learning, and Service,” with narrative written by history professor Lloyd Johnson and designed by Campbell alumnus Jonathan Bronsink. 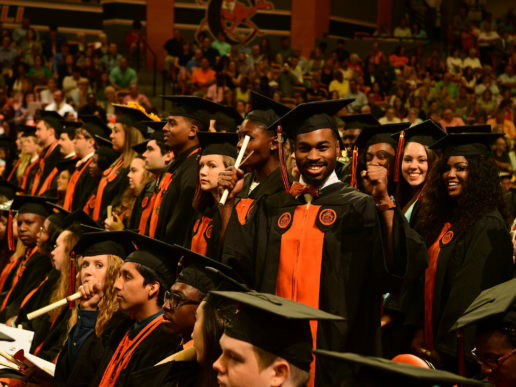 For over a year, they and a team of Campbell University staff and faculty members pored over University records, photographs, slides, yearbooks, catalogs, community anecdotes and personal interviews to create a snapshot of Campbell first 125 years. “It is the desire of all who contributed that the reader will derive enjoyment from the book’s content and also learn something about this school’s history,” said James Martin, professor of history and chairman of the book committee. Martin said Campbell’s journey from a one-room schoolhouse to a world-class university is a story worth telling and a worthy update of Dr. J. Winston Pearce’s book, “Big Miracle at Little Buies Creek,” first published in 1974. 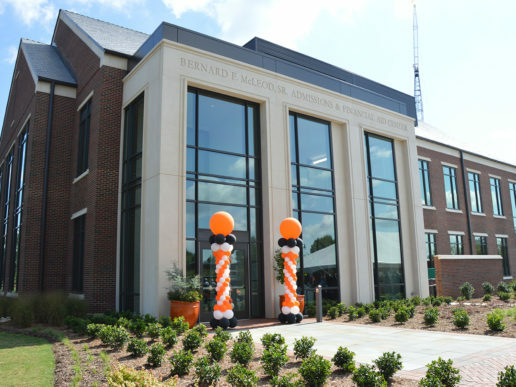 “Whether one is an alumnus, employee or supporter of the University, this work will hopefully enhance their pride in the orange and black,” Martin added. Photos and vignettes fill the 100-page, 10-by-12-inch coffee table book, which consists of four chapters marking the eras of the University’s four presidents. Chapter 1, the J.A. Campbell Era (1887-1934), recollects the founding and expansion of Buies Creek Academy, culminating with the Academy’s transition to Campbell Junior College. Chapter 2, the L.H. Campbell Era (1934-1967), addresses the period when the fledgling junior college survived the Depression and World War II, expanded during the postwar years and achieved senior college status in 1961. Chapter 3 discusses the Norman Wiggins Era (1967-2003); high points of this section include Campbell’s transition to a University with the addition of graduate programs in law, business, education, pharmacy and divinity. Chapter 4, the Jerry Wallace Era (2003-present), takes the University to 2012, during which time, in addition to transforming the campus, Campbell has inaugurated several health sciences programs and North Carolina’s first medical school in 35 years.